OLA Logistics are pleased to report the shipping of 2 sets of truck cranes on a RORO service. 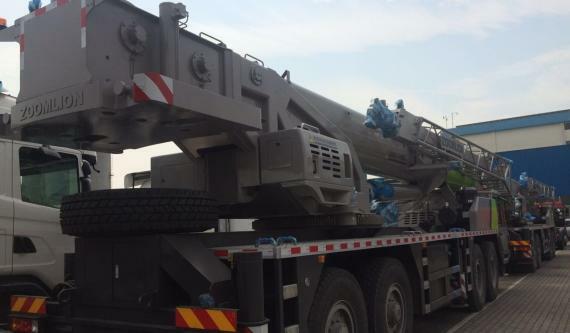 Each truck crane set had a gross weight of 48tns and dimensions of 14.5 x 2.75 x 3.8m. As well as the self-propelled truck cranes, OLA also handled the counter weights and lifting hooks using Mafi trailers. OLA are PCN members in Hong Kong and are proud of their strong relationships with RORO carriers, providing good rates and excellent services.